In an evening full of total engagement, immersed in the likes of entrepreneurs, astronauts, National Society of Black Engineers’ leaders and students, the #BlackSTEMLikeMe hashtag rang loud and clear. We were met with stories of trials and triumphs, but they didn’t end on the stage. 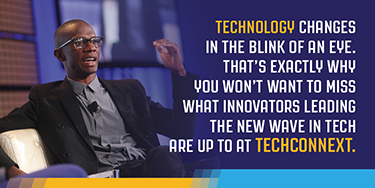 A clip was shown, we heard from speakers, and then the attention was turned to the audience. It was our turn. Topics surfaced like: explain a time when you were the “Hidden Figure” toÂ give an example of when you had to take an active leadership position and make some less than desirable decisions. Nia Jetter, from The Boeing Co., spoke about the time she was told that she spoke like a white girl, given her pedigree from Stanford and MIT and how she dealt with it internally. 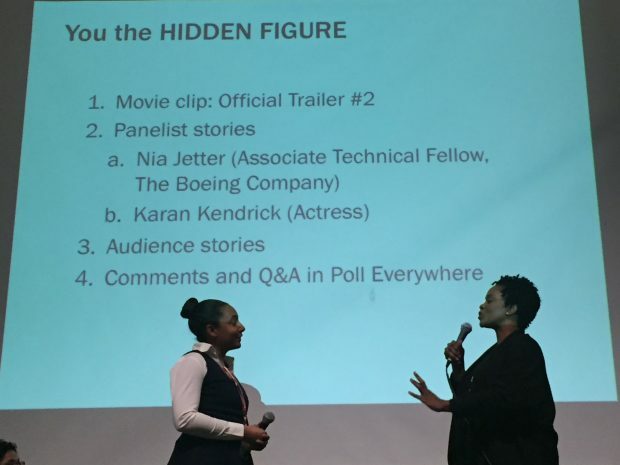 Karan Kendrick, anÂ actress from Hidden Figures, gave us a story followed by a lesson learned about not allowing others to define youÂ and focusing on defining yourself from the inside out; and Toni Vanwinkle, from Adobe, encouraged us to show up as our full selves. 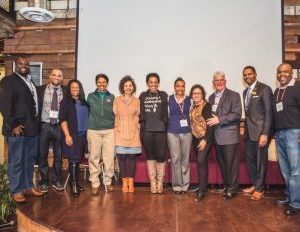 Chuck Baker, a partner of NSBE, decided to put on the event after being brought on to create a mobile-dominant content and advertising platform to help them serve the needs to their community, more effectively. Partnering with sponsors in the field came naturally. “We felt like it was a great opportunity to continue our support with NSBE,â€ said Anne DeAngelis of Boeing. The night culminated with over 100 engineering student registrants, some specifically from the UC Berkeley’s Black Engineering and Science Student Association (BESSA). In addition to that, the organization hosted a parallel event on Stanford’s campus the next day, to an equally sold out and enthusiastic crowd. 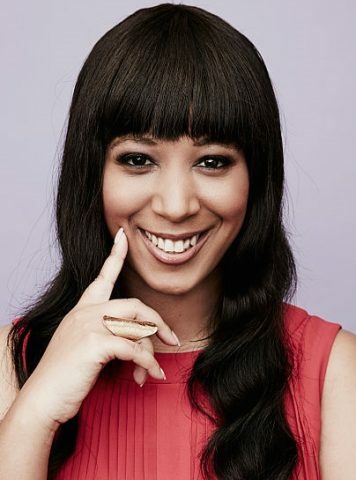 Danielle Rose, chief programs officer at Level Playing Field Institute, who was sponsored by NASA while in undergrad and was also a panelist, told Black Enterprise that she hopes that with the wave we are currently going through, this will cause an awakening and we can actually make a dent in the STEM world. From the feedback received, in conjunction with the usage of leveraging technology, it seems that NBSE is well on its way to accomplishing its goals. 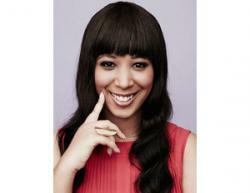 Sequoia Blodgett is the Silicon Valley, Technology Editor for Black Enterprise. She is also the founder of 7AM, a lifestyle, media platform, focused on personal development, guided by informed, pop culture.